In the digital world, Content is king. Making sure your content is effective for your business, branding and engaging the correct audience is crucial. 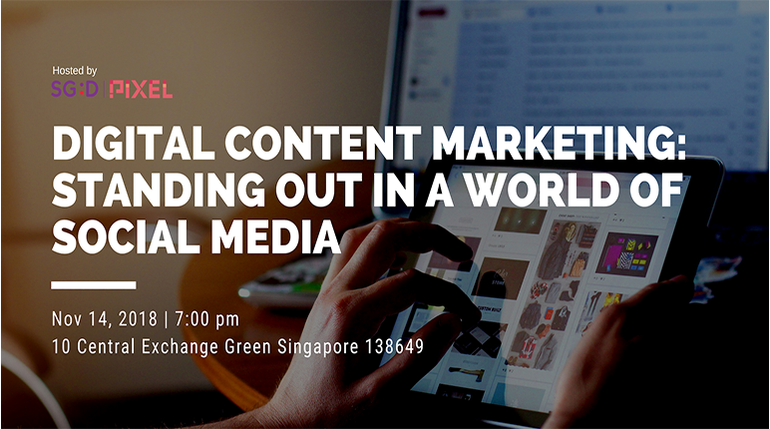 Find out how the various methods and tools you communicate with you consumers, is not only compelling but also aligned to your goals at this workshop. Creating a strong online identity for your business is important for successful modern marketing. Discover why the most effective content is about less selling a product, but more listening and responding to your target audience. Learn more about the tools and techniques to gain wider reach and boost your online visibility. Diana Chong is the Business Development Manager for Huat Films, which produced Michelle Chong's debut hit, ALREADY FAMOUS, which was selected to be Singapore's entry to the Oscars 2013. She was a co-producer for Michelle Chong's next movie, 3 PEAS IN A POD, a coming of age roadshow drama set in scenic Australia. In 2016, she produced LULU THE MOVIE, a comedy starring one of Michelle Chong's most popular characters from The Noose, an Emmy Award-winning comedy satire series. The movie received more than $2 million box office within 1 month of release and less than 30 print counts. She was actively involved in the pre-production process for the movies, including sourcing for corporate sponsorship and government grants, media relations and social media management. Other than films, Huat Films also conceptualise TVCs, branded content and music videos, available for viewing on THE MICHELLE CHONG CHANNEL on YouTube, which has hit 3 million views within 6 months of launching. This workshop is hosted by PIXEL.